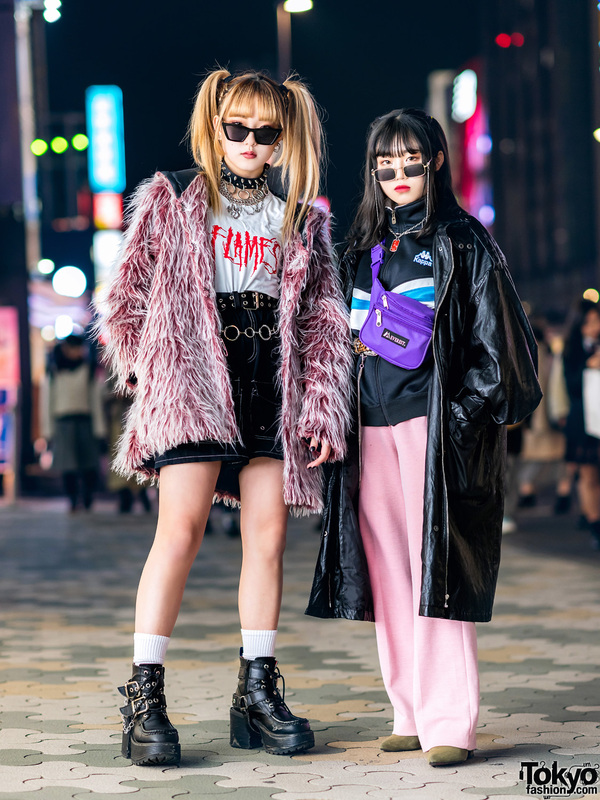 We came across Io – a 20-year-old student – while out taking a stroll on the streets of the Shibuya neighborhood. 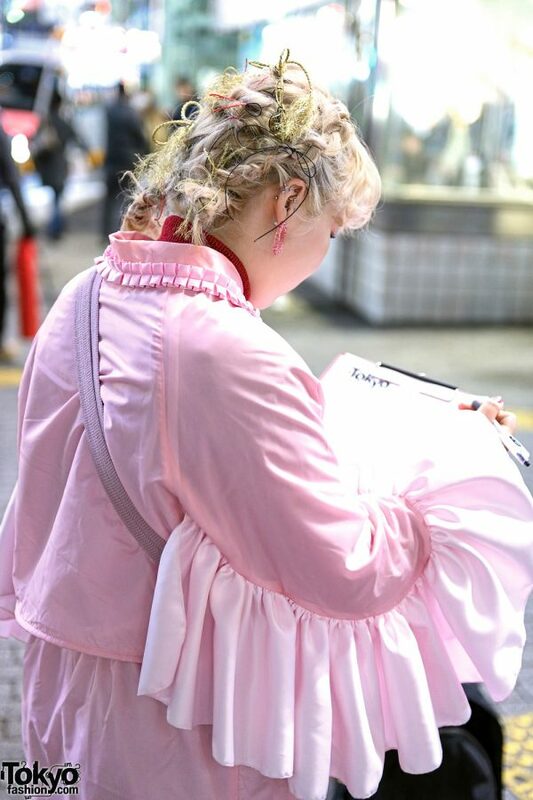 Io – sporting a blonde braided updo – is dressed in a pink cropped satin jacket from Microwave, which features a pleated collar detail and ruffled sleeves. She wore her jacket buttoned close over a resale red ribbed turtleneck top. 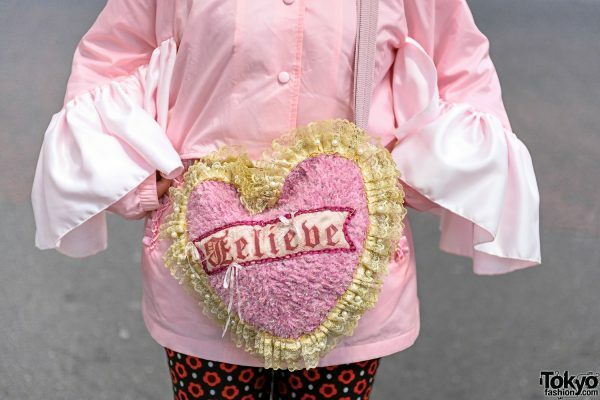 She donned a matching pink short skirt with pleated pocket details from Microwave over a pair of resale red-and-black pants with flower prints, wore purple glitter socks, and stepped into a pair of pink fuzzy heels from Thibaut. Accessories – mostly resale – consist of multiple hair ties, silver ear studs, and pink beaded hoop earrings. 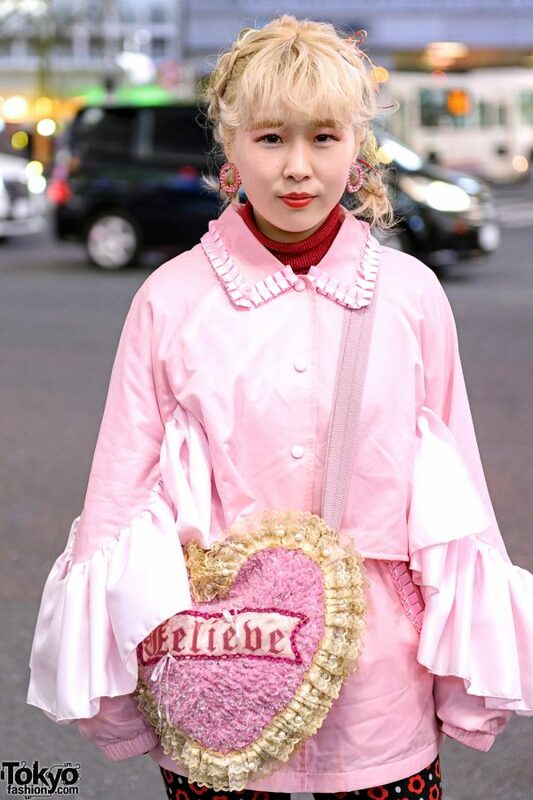 A pink furry heart bag with ruffled lace edges from LHP rounded out Io’s streetwear outfit. Check out Io’s style feed on Instagram.